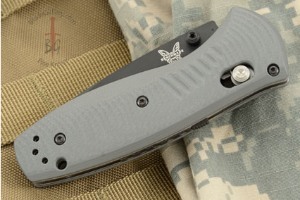 Description: Benchmade's original AXIS Assist now comes in G10! The CPM-S30V blade is an American-made and developed premium grade stainless steel created especially for knives. It is a powdered metallurgical steel with a uniform carbide distribution and clean steel properties. This gives the blade superior corrosion resistance, toughness, and edge retention. 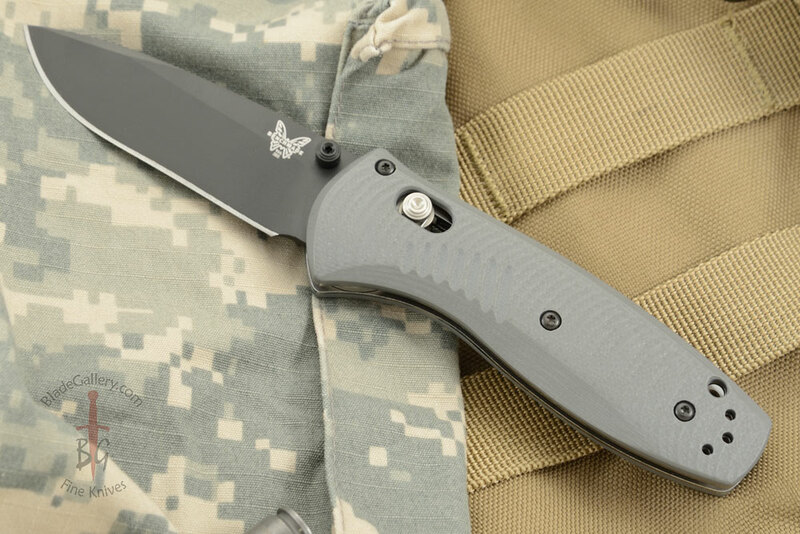 The Benchmade patented AXIS assist mechanism ensures the Benchmade Mini Barrage (585BK-2) is both a quick flick away from deployment and can lock open - and closed - securely. 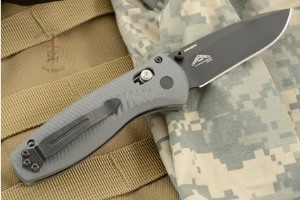 The lightweight G10 handle is a perfect blend of ergonomics and style and textured to provide a firm grip. 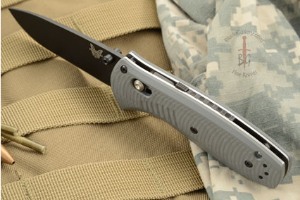 The grippiness is enhanced with finger indents which position the hand perfectly. 0.1865234375 0.0458984375 186.5234375 45.8984375 Trailer Started.